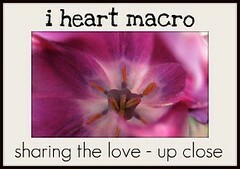 Don't forget to share the love up close at I Heart Macro, now hosted on this blog. A LinkyTool for the meme will be open from Saturday evening through Monday evening. I do hope you'll join us! Pretty blossoms and a beautiful sky. Your poem are always so pretty! Happy skywatching! so beautiful blossoms and sky shots! The branches of the magnolia trees look like they're reaching up to heaven, offering those blooms! Very inspiring! Wonderful photos, beautiful magnolias, really spectacular, I like! How beautiful Laura. I love magnolias. Hubber's is going to plant one for me in the yard this summer! Those magnolia flowers are magnificent! Thanks for sharing those stunning beauties, Laura. So wunderful photos! Love the blossoms and the blue sky! Magnolia is my favorite flower! Your photos are perfectly wonderful. I especially like this haiku!!! So vivid in words and imagination! Have a grand weekend!!! Such passionate haikus this morning. I'm always amazed by the magnolia blossom. From bud to death, it is truly beautiful in all its stages. I enjoyed the beauty here this morning, thank you! Nice - the kiss that leads to passion. Love the photos Laura. Have a great weekend. Lovely pics of my favorite flower Magnolia! Those are magnificent!!! I so wish I could smell it! Your haiku words touch my heart too! Fantastic series, I love magnolias. Beautiful words... and the magnolia is so special. We had a huge beautiful grandiflora tree in our yard in Oregon...honestly, I think it's why we bought the house! Gorgeous photos and tender, beautiful haiku! the close up of your magnolia blossom swept my heart away! Very pretty. I can practically smell them from here. these are so very beautiful, dear laura! The magnolias and sage are gorgeous. Gorgeous photos and haiku! I love the last one especially! Gorgeous shots. Sorry for the late visit. Hope you'd find time to visit my Duranta Repens. With all of the wonderful rainfall that we've received this spring (and now), the magnolias are just bursting with blooms and extra dark and shiny foliage! Love 'em!